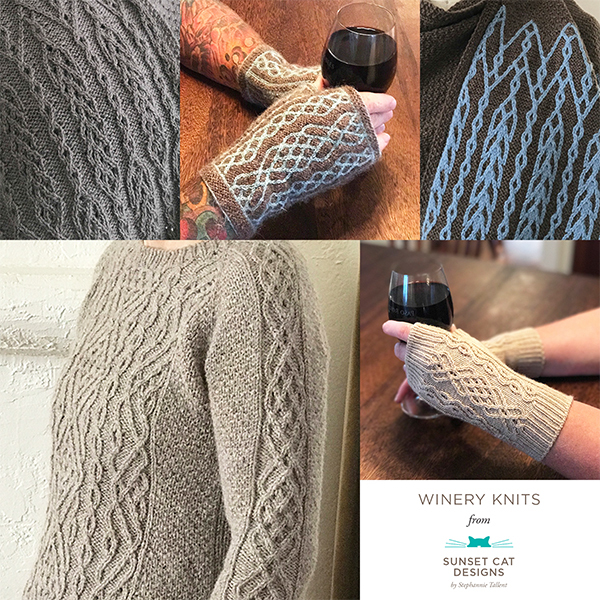 I’ve always loved Kate & Courtney’s yarns and designs, so I’m excited to be a part of their blog tour celebrating their new collection, Kelbourne Woolens Volume 1. This is a compilation of their older patterns, including several that are available as free downloads on Ravelry (such as my favorite, Selbu Modern). However, in this collection, per the book notes on Ravelry, all of the patterns have been “re-edited, rehashed and improved upon your knitting enjoyment”. They’re doing something a bit different with the blog tour: we’re supposed to create an outfit around our favorite pattern. Fun! I’ve not really played with Polyvore, but here goes an outfit that you could wear with your Selbu Modern hat. I’m going for a comfy, classic feel, which is what I think the hat is all about. What is your favorite pattern from the book? Leave your comment on this post, by midnight PST March 7 2013, for a chance to win a signed hardcopy of the book! Make sure you leave me a way to contact you. US addresses only, thanks!